Water is wet, the world is round, and free ice cream is the best thing on the planet. Those are the inalienable truths we hold to be self-evident. Accordingly, despite being a marketing-driven "food holiday," National Ice Cream Day is one of the best days on the calendar. 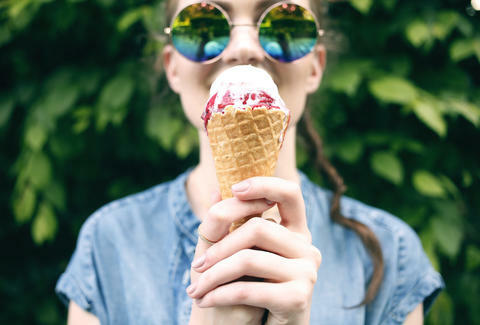 This year it falls on Sunday, July 16, and there are plenty of ice cream shoppes and chains -- both local and national -- celebrating with the appropriate deals. The deal: All five LA locations of this small chain are doling out free scoops as hourly prizes all day, along with hourly giveaways of more ice cream, T-shirts, and other swag. The deal: If you've got kids, they're in luck! Anyone 18 or under gets a free scoop in a classic orange cake cone with sprinkles, if an adult buys a cone first, that is. The deal: This Santa Monica shoppe is giving out free cups of its dairy-free soft serve on Sunday afternoon. Its icy wares are made of natural fruit, meaning you can enjoy your treats guilt-free. The deal: The Pretend City Children's Museum is handing out free cups and cones for just one hour, so you better get them fast. They're also celebrating the day with crafts and songs for the kids, so keep that in mind. The deal: You can buy three sandwiches and get a fourth free at either of this delicious local shop's two locations. The deal: The nation’s first liquid nitrogen ice cream chain is offering a buy-one-get-one (BOGO) deal on its custom ice cream creations. The deal: The chain is doling out free vanilla cones at participating locations if you order them using the McDonald's mobile app. Additionally, you have the chance to win free soft serve for life if you order within certain times. The deal: Some locations (call before to check) are giving out one free mini cup of ice cream during select times. The deal: The grocery store is selling all Ben & Jerry's pints at a two for $6 discount. It's also hosting "Sundae Fundae" sampling events in stores nationwide. The deal: This deal isn't pegged to National Ice Cream Day, but it's got a buy-one-get-one coupon for Strawberry Cheesecake Milkshakes. The coupons are good all summer long. The deal: Two big offerings from one of the biggest ice-cream institutions in America: (1) they'll be doling out free samples of their pistachio ice cream pizza on Friday, July 14; and (2) if you download the Baskin-Robbins app, you'll unlock a variety of free ice cream deals on July 16. The company's been cryptic on this matter, but there's ice cream involved, so I wouldn't worry. The deal: Bring this coupon to your local Tastee-Freez or Wienerschnitzel location and you’ll get $1 off any candy shake, including Reese’s, M&M’s, and Oreo. The deal: Turns out your dog can get in on the dessert-filled celebration, too. The pet retailer is handing out free Doggie Ice Cream Sundaes -- dog-safe vanilla ice cream topped with a dob biscuit sprinkle -- at its PetSmart PetsHotel locations nationwide. Know of National Ice Cream Day freebies and deals that we missed? Email us at news@thrillist.com and we'll add 'em here. Celebrate responsibly.